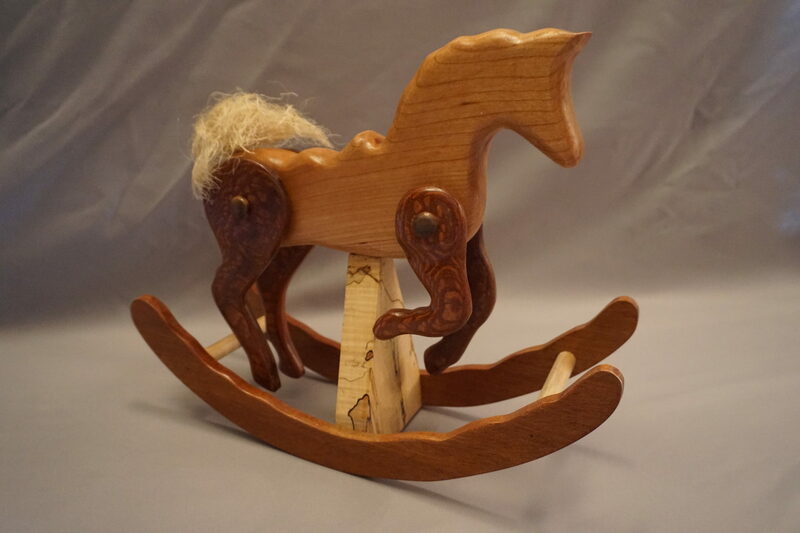 Adorable cherry wood rocking horse with legs made from leopard wood that move. The base is made from spalted maple and the rocker is made fromu cherry. The woods are highlighted with a clear finish.